For the past 25 years or so, amphibians have been disappearing globally from developed areas as well as pristine environments. Scientists have identified multiple anthropogenic factors contributing synergistically to amphibian declines. Therefore, a multifaceted approach is necessary to address the amphibian decline phenomenon. 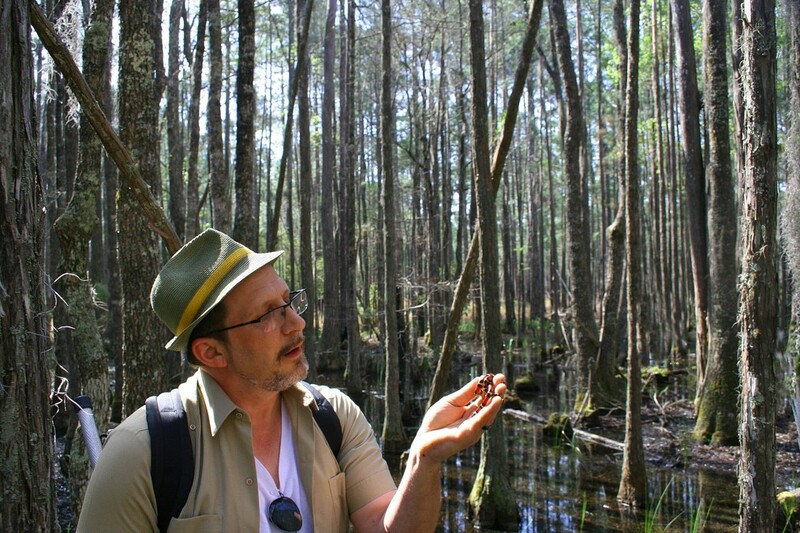 The Amphibian Foundation, based in Atlanta, addresses SE regional as well as global amphibian declines through an international partnership focusing on targeted programs for specific imperiled amphibian species. The foundation also has a strong training and educational program for students and citizen scientists. Partnering with regional agencies, such as Southeast Partners in Amphibian and Reptile Conservation, GA DNR and Orianne Society, and federal partners such as USFWS and USGS as well as global partners like Amphibian Ark and the Amphibian Survival Alliance, the Amphibian Foundation provides a critical role in combatting amphibian declines at the global, as well as the neighborhood level. Currently, 43% of the world’s amphibian populations are documented as in decline or already extinct. The Amphibian Foundation provides a program that engages the community to become involved in saving this important and biodiverse group of animals. Mark Mandica is the Executive Director of The Amphibian Foundation, Inc., a non-profit organization dedicated to the study and conservation of amphibians. Questions: For Questions about this event, please contact Dottie Head with Atlanta Audubon Society at 678-973-2437 or dottie@atlantaaudubon.org.